Learning a language, one of the most important factors determining if we succeed or not is how much time we spend. Trying to accumulate as much time as possible, we run into several problems. We might have jobs, families and hobbies that take up our time, but even if we don’t, spending more than a few hours every day on diligent, focused studying is hard to keep up in the long run. What we need are ways to study which doesn’t really count as studying in the traditional sense of the word, but which yet allows us to get used to and improve our language skills. Computer games might not be strictly necessary for most people, but it’s still something many language learners spend quite a lot of time doing. This article is for you. Assuming that you’re already spending a lot of time studying Chinese, there are still plenty of things you can do to learn more. Most people have large chunks of time where they could learn Chinese, but they don’t, either because they haven’t thought about it or because they don’t know how. Time quality (studying the right thing at the right time) is an essential concept here, and means that there are different types of time that can and should be used for different things. In short, you might not be able to practise speaking ability while working, but having Chinese music on might still be possible. I have written more about how to diversify you learning in this article. It’s fun – I put this at the top because it’s the most important factor. Learning languages should be fun and this makes computer games an excellent way of learning. Naturally, the benefits will vary according to what kind of game we’re talking about, but reviewing vocabulary has never been this fun (some in-game words occur very frequently). It’s instrumental – When playing computer games in a foreign language, we don’t simply learn because we want to learn, we have another purpose: we want to beat the game (or our opponents). This means that we need to use the language to succeed and reach the next level, a great motivational boost. It’s social – Depending on what games you play (preferably some major game like Starcraft or Diablo), you will find that many native speakers are hugely interested in these games as well. This is an opportunity to interact with other people, not only while playing the game, but also elsewhere online and in real life. It’s interesting – Playing a game, we typically want to know more about it or how to improve our game play. Popular games like Starcraft and Diablo spawn thousands of websites dedicated to the games, some of which will be in Chinese. This gives you lots of reading material which you are truly interested in reading. Participating in online discussions might require a relatively advanced level, but reading is easier. It’s about more than gaming – Some people might wonder if it’s really useful to know how to say Dark Templar, Infestor, Demon Hunter or Witch Doctor in Chinese, but this question misses the point. These words might be commonly occurring in these games, but the language use is much richer than that. These are the words uninitiated people will notice, but the main bulk of language use is still fairly normal. Blizzard is well-known for creating high-quality games and Diablo 3 and Starcraft 2 are no exceptions, at least not if we look at how ambitious the company is. Starcraft 2 comes fully localised in a number of languages, including both simplified and traditional Chinese. This isn’t a quick fix someone made in an afternoon to sell more copies in China, it’s a complete localisation, including voice acting, remade graphics and so on. I haven’t yet tried the Chinese version of Diablo 3, but the localisation of Starcraft 2 is well made and has taught me much Chinese. In the case of Diablo 3, Blizzard has officially announced that the traditional characters version is available from the launch last week. However, downloading it might require you to register for a Taiwanese account first, something I haven’t done personally. People who live in Taiwan obviously don’t have this problem. Mainland China is trickier, and Blizzard didn’t include simplified Chinese in the list of supported languages, but there is still a simplified version out there. I have asked around and it seems like the game can be bought retail in China, but that the simplified character version is not available online. If anyone has more information about this, please let me know. 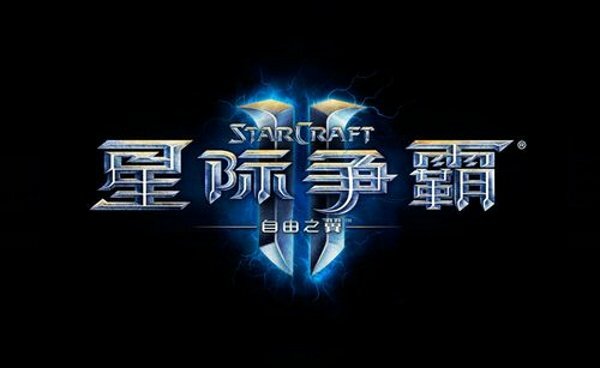 I have written an article specifically about playing StarCraft in Chinese, read it here. For Starcraft 2, both a simplified and traditional version have been available for a long time and work very well indeed. The problem is that Blizzard doesn’t really like language learners or expats, which means that you can’t just buy your game in Europe or America and then switch language to Chinese. In fact, it might even be hard to buy the game in Chinese from outside China. Fortunately, you don’t need to do that. Since Starcraft 2 is not exactly new, this isn’t a problem, because people have created patches were you can use a Chinese version of the game and just copy the things you need from your legally purchased version of the game, thus allowing you to play in Chinese and still play on servers in America, Europe or anywhere else. You can find such a tool here. I have used this myself successfully many times (I updated the game this morning, in fact), but please don’t ask me support questions since all I did was follow the instructions on the page I linked to and I don’t know more than you do. In an upcoming article, I will talk more about Starcraft 2 and how it can be used to learn Chinese, including game play, watching professional competitions with Chinese commentators and much more. Stay tuned! The world of gaming is definitely growing more international. Major games will be fully localised into Chinese, simply because the Chinese market is growing. This means that the problems involved in getting a Chinese version of the games we love should decrease over time. For the immediate future, we can still trust fans to create tools which allow us to play the games in the languages we want to learn, even if such tools might take a while to develop. Perhaps you won’t be able to find you’re favourite game in Chinese. If you can’t, you might have to make a small sacrifice, changing to another game which does exist in Chinese. Considering the extra language learning opportunities, I definitely think it’s worth it. Playing games should not be a substitute for other kinds of studying, but if you play computer games anyway, why not do it in Chinese? Are you able to talk out loud to other players while playing the game? That depends on the game, I suppose. Starcraft has a built-in voice communication system you can use with your friends (although most people I know use external programs anyway). I’m not sure about Diablo 3. Most modern games has voice communication, though. Unfortunately, the computer games I have really digged in the past generally have not been translated into Chinese (there might be games of the same type made originally in Chinese, but I’d have to do research to know of their existence). And right now, I don’t play computer games because so many other things take up my time, so in order to start playing computer games in English I’d have to take time from some other activity. That said, I am intrigued by Dragon Oath, a MMORPG originally in Chinese but now localized in many languages/countries (specifically, it’s one of the most successful MMORGs to come from the Chinese-speaking world). I’m interested in it because it’s based on 天龍八部, and I’ve read 天龍八部, and I am really curious how they adapt it. While it is true that to play games *in English* again I’d have to take time from other activities, what I meant was playing games *in Chinese*. I posted too quickly. …because I’ll learn a lot of worthless vocabulary like ‘spell’ and ‘potion’ and ‘airstrike’ instead of actual vocabulary I can use in real life? I made the mistake in Japanese of learning worthless vocabulary (not games) and swore never to do that again. So much work, so little payoff. I think I answered this kind of criticism in the article, but I’ll add some more. The experience I share here comes mainly from Starcraft, so it might be slightly different than other games. There are some words you need to learn to understand the game, but I don’t think it’s that many (perhaps a hundred or so). These words pop up all the time, so it’s not that you actually need to study to learn these. As soon as the basic words have been learnt, most of what remains is normal language. For instance, I watch lots of commented Starcraft matches in Chinese and I guesstimate that about a third of the dialogue is about things that aren’t specific to the game at all. The two thirds that do focus on the game do of course contain words specific for that game, but sentence structure, pronunciation and the rest of the words (such as all conjunctions) are still very normal. In my opinion, learning words that might be useless on a test is not a big problem considering all the other things I will learn. Also, remember that I don’t suggest that gaming should be your main studying method, just that you might as well do it in Chinese if you’re going to play the game anyway. And what “useful” vocabulary is depends on what you need. For example, I have a friend who is an anthropologist specialising in gaming (and Taiwan). Vocabulary like ‘spell’ would be quite useful in her work. Words such as 戟 are useless in everyday modern life, but I want to read wuxia, and it’s a word which sometimes pops up there, so I consider it a ‘useful’ word. And sometimes learning ‘useless’ words helps me get a feel for the underlying depths of the language, so while I do not go around learning random words pulled out of a dictionary, I generally do try to learn the words I actually encounter in context. And even if one just wants to learn the Chinese necessary to, say, work on trade negotiations, yet you are already playing computer games (unlike me, at present), then learning 100 special words is not a big deal to convert that gaming time into Chinese practice time. I have learned a lot of English that way (games and game forums), but found it hard to apply to Chinese. For me the problem is that when you see an unknown word in an alphabet language, you might understand it from context, get an pretty good idea of how to pronounce it through spelling and can remember it after a few times. In Chinese, if I see a character I haven’t seen before, this is much harder. At the level where learning through games and other media works well, unknown characters are usually fairly complicated ones, and I find it hard to remember 10+ strokes without actively memorizing them. In addition, in many cases I don’t know how to pronounce that character either, making it even harder to remember. Reading a text I can use a translation tool (Lingoes is nice), but in a game, that doesn’t work. Do you have any suggestions how to get around this issue? I agree with the first half of your post, but I don’t agree about the complicated characters. If your Chinese is reasonably good, a single unknown character shouldn’t put you off, you should be able to guess what it means (roughly) from context. Furthermore, I don’t really see where this is different from reading a book? You’ll encounter characters you don’t know whatever you’re doing, I’m afraid, and the solution remains the same: use a dictionary (fortunately you can just handwrite the character these days). I know translation tools are handy, but if it’s the only method you have for looking up new characters, computer games isn’t the only area in which you’ll run into problems. That being said, I find that pronunciation is quite important to remember, even if it’s very passive recognition we’re talking about. I’d check the pronunciation for very common characters. If you’re playing a game such as Starcraft, it’s likely that voice actor in the game will read the words for you! Do you type in Chinese to other players? What do you talk about? Do you mention you’re a foreigner and learning Chinese? Chinese players probably rarely encounter foreigners in some games. I like the Blizzard games idea in general. Based on my above experience I bet Blizzard games are more useful than original Chinese games, as long as reading comprehension is low. The themes found in Western games are more familiar to most of us learners, so we’d have more context. To be honest, I haven’t played any Chinese MMO, so I my answers are a bit speculative. However, understanding what the game is about before you start seems very natural to me. Perhaps you could spend some time reading the Wikipedia article about the game or some other useful introduction you can find. If you can’t understand the non-specific words used in the game, then you will of course have troubles understanding the details of the game as well. If you find yourself in such a situation, but still want to play, I suggest making it somewhat more serious and actually spending some time reading about the game and learning some vocabulary. Blizzard is awesome. All the dialogues in Starcraft 2 comes with subtitles. and you can even pause the dialogue while it’s playing to have time to read if it’s too fast for you! This is great for language learning. I thought of another answer to the ‘useless vocabulary’ issue: The Sims. I know somebody who used the Sims for Chinese practice, and she says that there is practically no ‘special’ vocabulary – almost all of the words are words used in daily life. I don’t think learning 100 words is a big deal, but from what I heard, learning a hundred “useless” words is not necessary for playing The Sims. I don’t really play any computer games, but I know lot of boys at my class learned English while playing. I think that is one of the reasons why boys sometimes have better English than girls in Finland. So I’m sure for someone interested in games, it would work very well to play them in Chinese. It would be great to see more games and especially apps that combine learning Chinese and playing games. I might be interested in those. What about a Chinese version of Angry Birds where you shoot down block of characters? Perhaps getting more scores if you hit the right word (there could be a hint in English or simple Chinese on a corner)? In my experience playing the Chinese version of League of Legends, I’ve been able to learn critical gaming terminology simply by watching what’s said by other players. I’m still extremely limited in my ability to communicate in the game though, primarily because the names of items and characters are not easily sight-read. Fortunately, this has cut down on my smack talking (not that I’m really a big talker in the first place). My general inability to detail exactly how I feel about the nature of your manhood in Chinese generally leads me to say nothing at all. I no longer view video games as a quality source of language learning material, but I still advocate doing things that you enjoy in your target language. 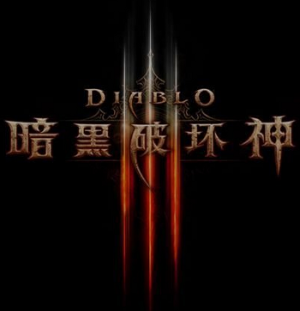 If you want to play Diablo 3 in Chinese, do it! About starcraft 2, it is now possible to change ingame language to Tradionnal chinese without having to download anything else.